A recent article in the Sydney Morning Herald talks about a proposed overhaul of the selective school entry exam due to coaching concerns. The article speaks of how the current system favours wealthy families who can afford coaching over those that can’t – creating an imbalance of students in selective schools. This is absolutely true. Selective school tutoring is now not just a benefit, but a requirement to succeed in the exam – because if you don’t have it, you are disadvantaged against students who do. The article doesn’t provide stats on how many successful students received coaching in some form, but it is my own experience that most do. The government’s review will look at replacing the selective schools test with “computer-adaptive IQ tests that assess cognitive skills, student work portfolios” or “problem-solving tasks that rely more on higher-order and critical thinking skills”. The issue here is that there is always going to be a way to prepare. If they need to test all students fairly, it is going to be impossible to do this without allowing students to prepare for the test without coaching. Let’s say they base it on recommendation from teachers, followed by interviews by admission staff (the only way I could really see them overcoming tutoring influencing outcomes), there are still students that will get coached on what to say in the interview and how to impress the interviewers, plus additional pressure on the teachers from parents pushing to get their referral. The reality is that when the outcome is important, not all can be equal. I would recommend that if they want to balance the socioeconomic make up of selective schools, they reserve a number of spots at each school based on household income. It is in no way a perfect plan, but it is probably the only way of achieving what appears to be their goal. That being said, a low household income does not mean they still won’t be willing to make sacrifices to pay for coaching – especially when they know they are more likely to get a place that is reserved for them. I would say that 50% of the students I have worked with over the year have been single parent families, not wealthy families. They say that any changes are still a long way off, so until then it is business as usual. 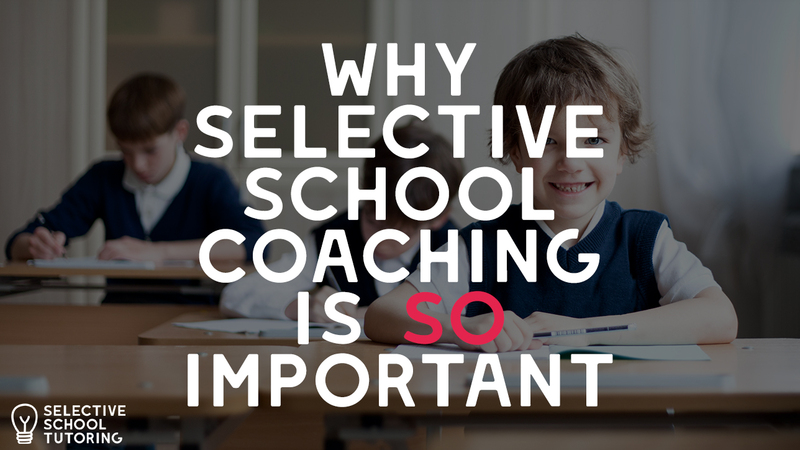 If you have a child attempting to gain entry to a selective school ensure you have the right coach to prepare them for the selective school test. Get in touch and let me help them be one of the fortunate few to gain entry to a selective high school. The selective school entrance exam is really hard. Like really hard. And not just for year 6 students. Most adults would struggle with many of the questions in the exam. They do this on purpose; to make it hard for even the brightest of students so that they essentially create outliers. The exam is also very clever in how it is written. They intentionally write questions that are virtually impossible for a year 6 student to answer, but it then becomes about how they can determine the most appropriate answer to the question. Three of the following words have similar meanings. Which word has a different meaning? I feel like I didn’t even know the difference between contempt and content until after High School! Whilst you may be able to work this one out (D is the right answer), there is no denying that it is super challenging for a 12/13 year old student – and I think this is an easy example! 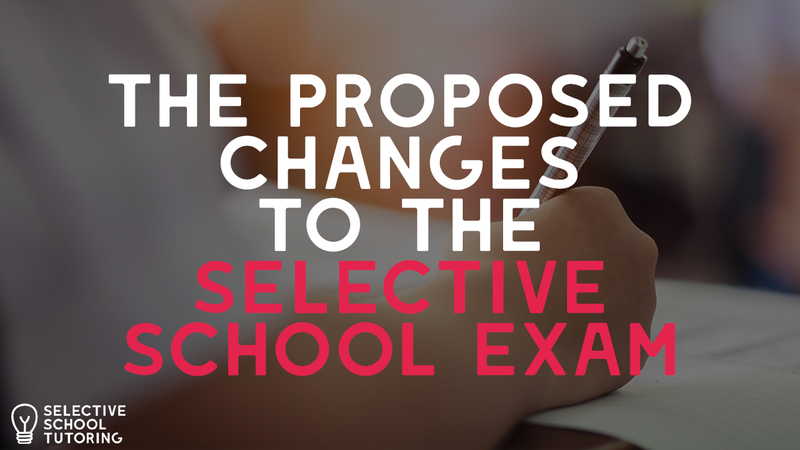 The selective school exam tests a students ability to think logically – so that even when they don’t know the correct answer, they can use their skills of deduction to determine the best answer. One of the greatest challenges for students attempting the selective school test is that they are very unlikely to receive help from their classroom teacher. Teachers are so busy trying to keep 30 students engaged that they can’t redirect attention for the 1 or 2 students that have a shot at the exam. They also can’t go it alone. There are too many challenges in the preparation process – they need someone to guide them through. That is why I really like the term Selective School Coaching – because like any good coach, we take the natural talent that is already there and we refine it. We show them how to best utilise the skills they have and when to use different parts of their brains. 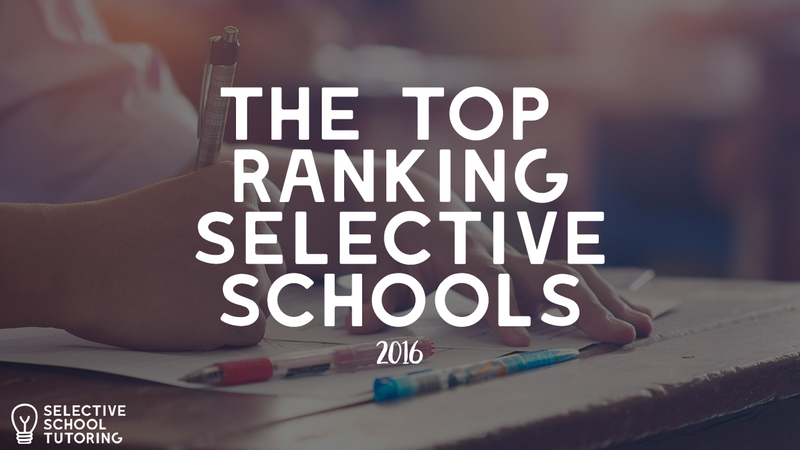 NSW Selective Schools consistently fill the top 5 spots in the HSC. Whilst one school has dominated every year for the last 26 years, there is always an interesting battle between the next 4 schools for the title of highest performing (after James Ruse of course…). The success rate of a school is determined by the number of band 6’s received in total (a band 6 is a mark of 90+ in a subject). This means, total number of Band 6’s received, divided by number of exams sat (each student will sit around 5 or 6 exams). Whilst this usually means a high ATAR (the rank that Universities look at), ATARs are not made publicly available so the number of band 6’s achieved is the best metric we can use. #10. St George Girls High School, 42% success rate. It is worth noting that this just compares selective schools, and is not their overall ranking across the state (although 1-5 were the top 5 performing schools in the state). The top ranked private school was Sydney Grammar School, with a success rate of 50%, and the top ranked non-selective public school was Sefton High School, with a success rate of 24%. It shows the incredible results that selective schools achieve, but more than just the marks, the importance of self-discipline and motivation taught to the students. Considering the significant difference of the cost of a selective school vs private school, it is clear why entry is so competitive each year. If you are considering a selective high school for your child, they need a comprehensive preparation program for the selective school exam. It is hard. Really hard. Natural talent won’t get them through it alone. Get in touch today to start the conversation about how I can get them prepared for the selective school test – I maintain a 100% success record with my students since 2005! Learn more or book your child’s first session. 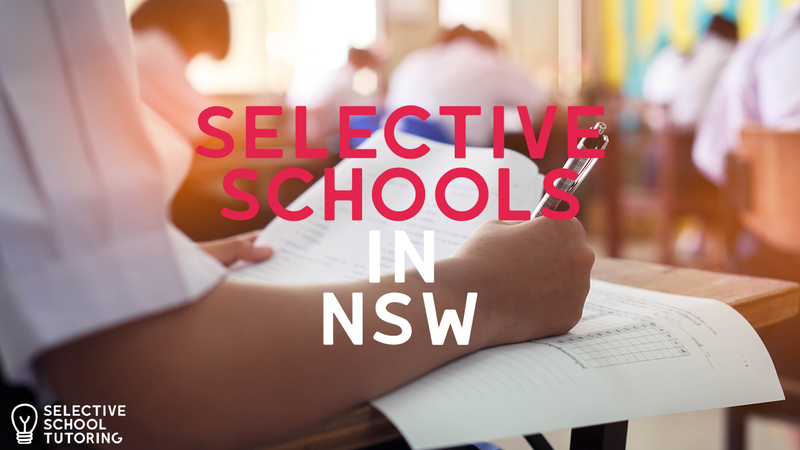 There are 46 selective schools in NSW, however only 21 of them are fully selective – the remainder incorporate a selective stream in each year group. Competition to gain entry to these school is fierce – which can be further compounded by geographic isolation, like when there is only one selective school in a region, i.e. Manly Selective on the Northern Beaches, Gosford High School on the Central Coast etc. That being said, it is clear why. Selective schools constantly fill the top 5 performing schools in the HSC, with James Ruse Agricultural High School being the number one performer for the last 26 years.